With Halloween coming up, it’s a great time of the year to celebrate with all things pumpkin: beer, pie and now, your favorite musicians. 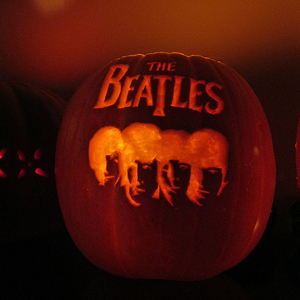 We combed the internet to find some of our favorite music-related pumpkins. What are some of yours? The shutter shades are the mark of a true showman. A pumpkin to go with your glowing neon body suit and angel wings. 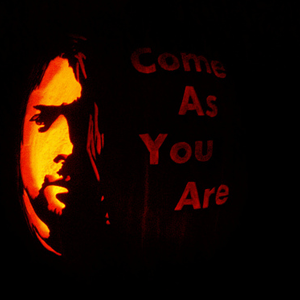 Radiohead’s most-recognized symbol meets a pumpkin. A glowing tribute to the former Nirvana frontman. A pumpkin-flavored take on one of the coolest cartoon musicians. The sunglasses and top hat still look just as iconic. The Fab Four immortalized in orange. Via Brown Bird’s Facebook. Carving by Megan Thoma. A pumpkin based off of the band’s new album, Salt for Salt. 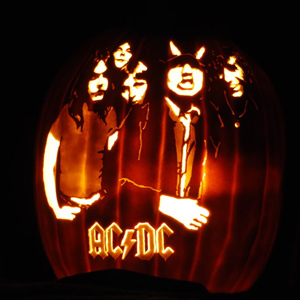 An impressive rendition of the Highway to Hell album. With all of the makeup and blood, Kiss is a great band to keep around during Halloween. A cool tribute to the band’s worst album. With an iconic logo like that, they were bound to get a pumpkin. A pitch-perfect version of Led Zeppelin IV’s liner notes.